Sulfate free & Paraben free Fragrance Free, Marula Oil Hair & Beard Wash - 8 fl. Oz. Made with pure essential oils, castor oil, marual oil & argan oil. 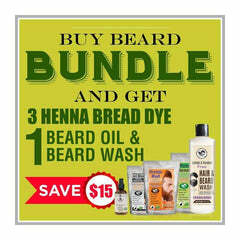 Now you can wash your beard and hair without having to worry about damaging chemicals.